Mrs. Crumbley is senior counsel at Walkers (Cayman Islands) in the firm’s Global Investment Funds Group. She has over nine years' experience advising fund managers, institutions and corporate trustees on all aspects of investment fund formation, including structuring, re-structuring and on-going advisory work. She is the Chairperson of the National Drug Council and is a Rotary International Paul Harris Fellow. Mrs. Crumbley has also served as a member of the Cayman Islands National Youth Commission. 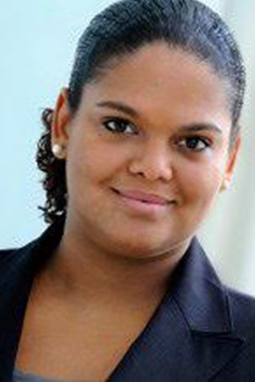 She was a recipient of the Cayman Scholar Award and a finalist in the 2008 Young Caymanian Leadership Awards. Mrs. Crumbley is a member of the Caymanian Bar Association and the Cayman Islands Law Society. Copyright © 2019 Civil Service Appeals Commission - All Rights Reserved.